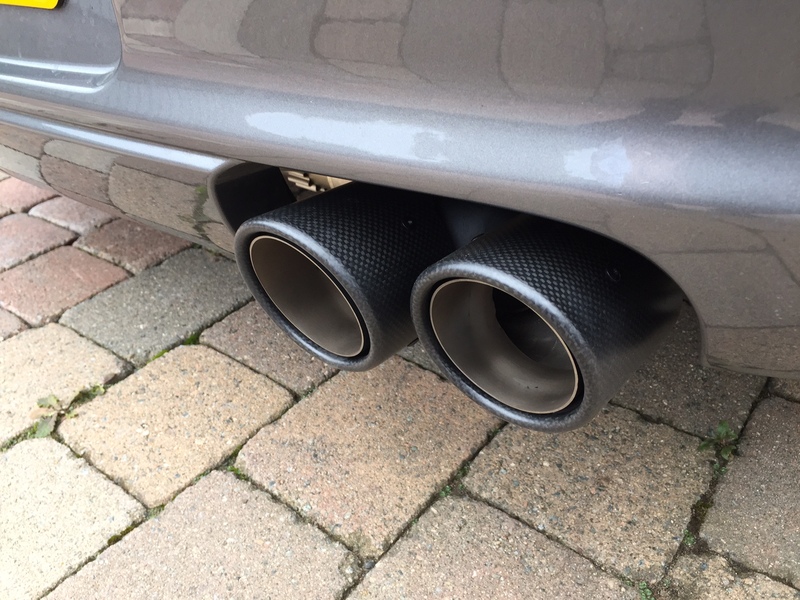 Got my mild silencers today to go with the 200cel x-pipe fitted earlier in the year. Is this group buy / discount still available at Top Gear? No group buy at the moment but I will PM you the standard 10% off coupon code. Could I ask your take on ceramic coating your products, are you able to offer it? Do you feel there is a benefit? We get almost no demand at all for it and rarely see it as necessary. 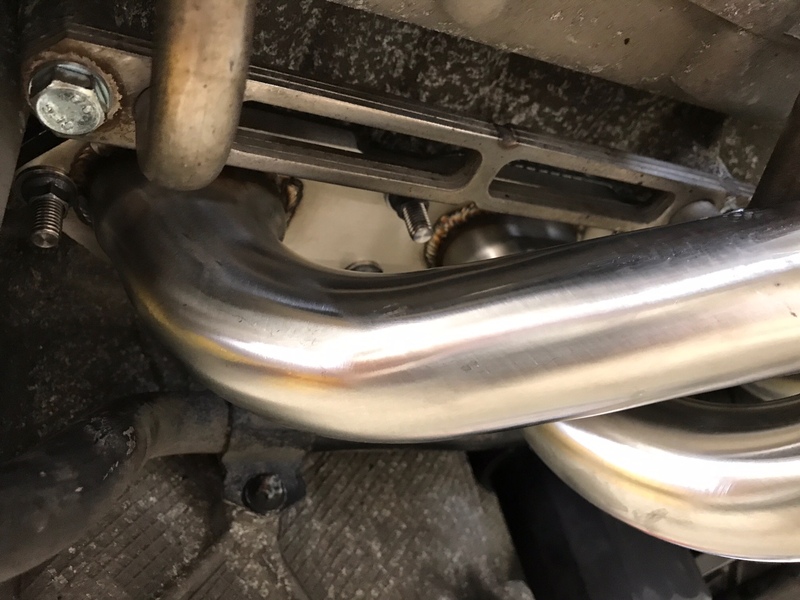 We use CamCoat when we do it, though really its only been for F430 manifolds so far. 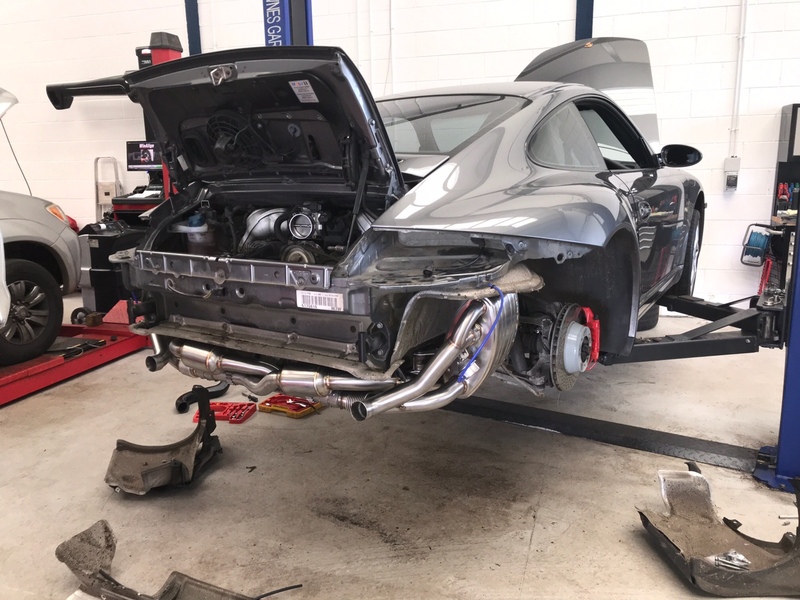 Have just been informed that my manifolds are badly corroded and the rest will be following shortly, thinking a full system, does anyone know the dB rating of mild sport vs sport boxes? I had my noise tested at Castle Combe today. Both time at just under 5,000rpm and static (measured from a metre I think). 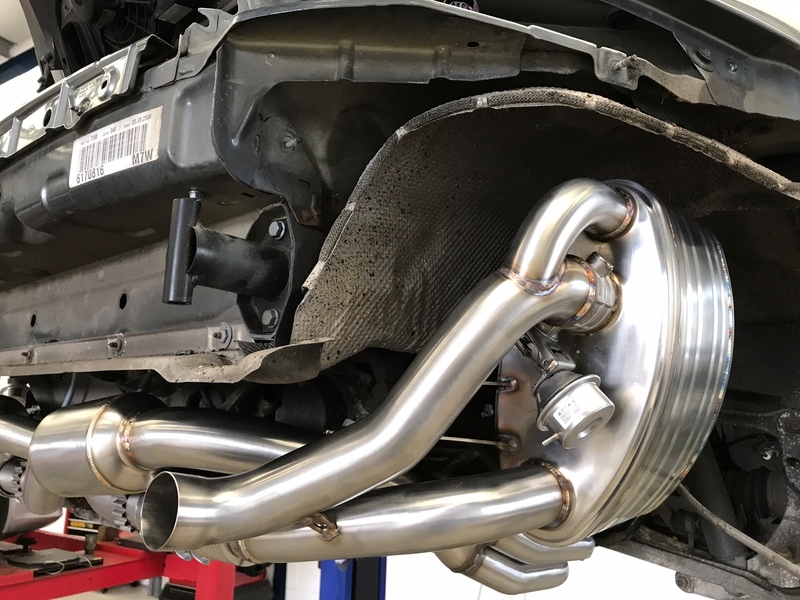 The car is a 996 3.6 within TopGear’s 200 cell X-pipe cats and the valved boxes. With the valves open it was 105db and closed 97db. Suspect the gap may be larger under load for a drive-by reading though. 105db is bang on the limit for Castle Combe and they told me just go with it and we can black flag you if necessary. Group4wheels I believe we're already chatting by e-mail but as its been brought up here, the mild boxes will be similar db to closed valves on the valved system so 97db above. The louder silencers are significantly noisier than valved boxes with valves open. 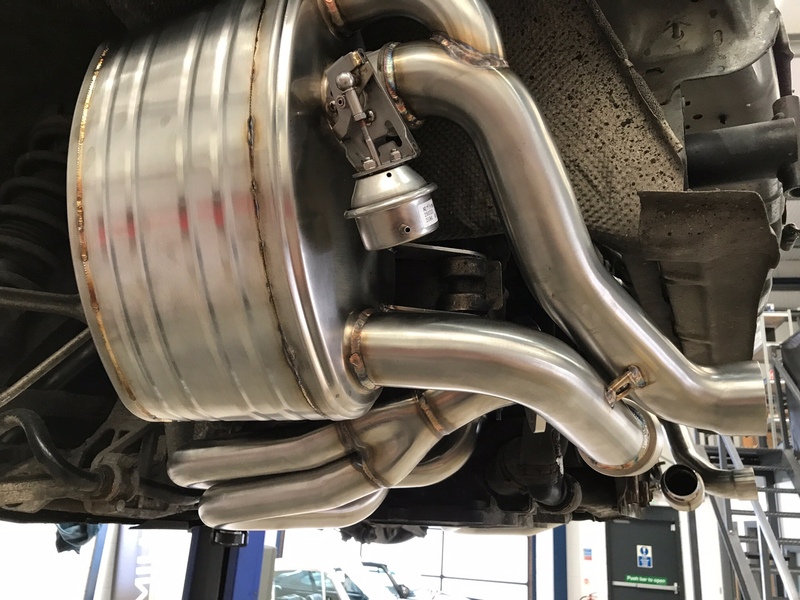 Note to any interested parties, I am on annual leave for a couple of weeks so in my absence your probably best off ringing 01308 480231 and asking for our exhaust specialist Craig who will be able to advise for your needs. In comparison to OEM products, you get all the relevant clamps/bolts/gaskets that would otherwise cost you many £s. The bits I've purchased that I think I'll need in addition to the Topgear fittings, are new exhaust bracket bolts/nuts and that's again a touch of OCD/the thorough approach to this project. I've also opted for ease, to go the whole hog with new lambda sensors for the cats as it seems daft spending a decent amount on the cats/boxes to then shove 19 yr old sensors in the cats. Well, I finally managed to get myself back home and my act together. With fantastic service from Alex my Top Gear system arrived and I used an unexpected garage visit (corroded brake line) to organise fitting. I decided to get my Indy - George McMillan to fit it as they're meticulous in their approach to everything so the car is always in safe hands. 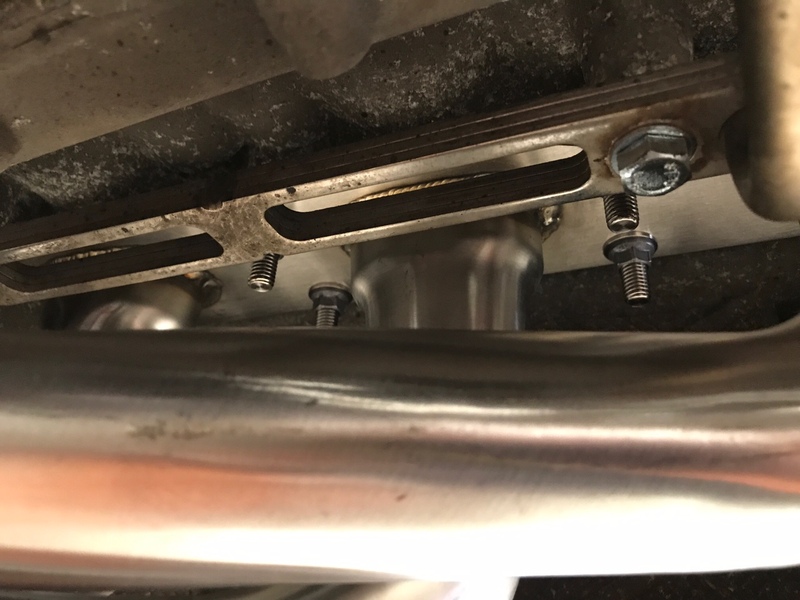 As I went for the full system including valved silencers there was a wee bit of work to be done and removing the manifolds proved true to form with a few of the bolts playing stubborn. I had bought a set of titanium studs from PPBB a while ago so the bolts were for the bin anyway and the rest of the system was put together without any major problems. I did ask for the control box for the valved silencers to be placed in behind the centre console in preparation for DucatiRob's switch modification and that was duly done and I also had the Indy use stainless fittings while they were in there. So, what's the end result? Well, I now have TG manifolds, 200 cell cats, valved boxes and carbon end tips. The sound is..............loud in closed mode and f##kin loud when opened! 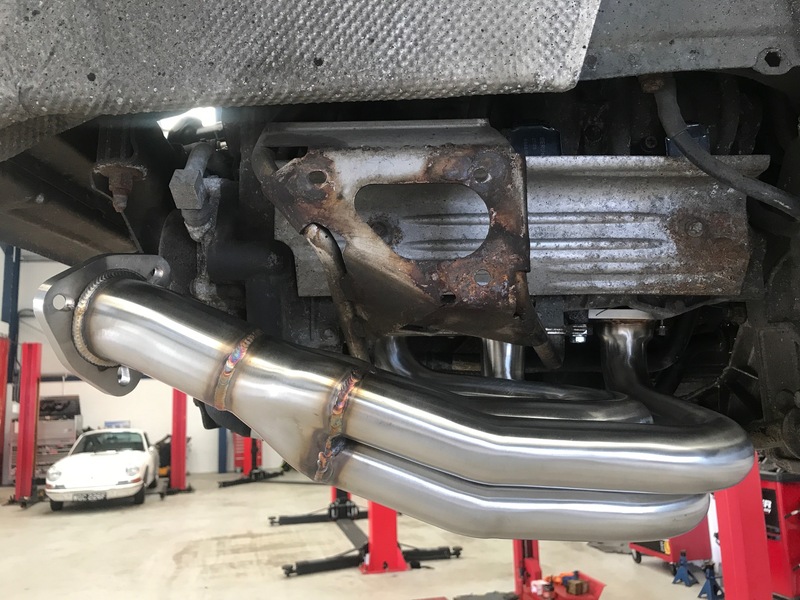 The fitter who took it out for a test run said it sounded awesome and he's right. I now feel 30 years younger and a bit of hooligan when I press the 'loud' button on the remote especially heading up the twisties on my way home. Seeing the sheep legging it away up the fields as I approach just makes me grin. I know, childish egit! I won't go into sound comparisons as I don't actually know what an OEM PSE system sounds like in the flesh or any of the other makes so I'll steer away from that debate. I will, however, try and get a sound clip of loud and louder and post here in due course so people can make their own mind up. Me? I love the sound and it's exactly what I hoped for. 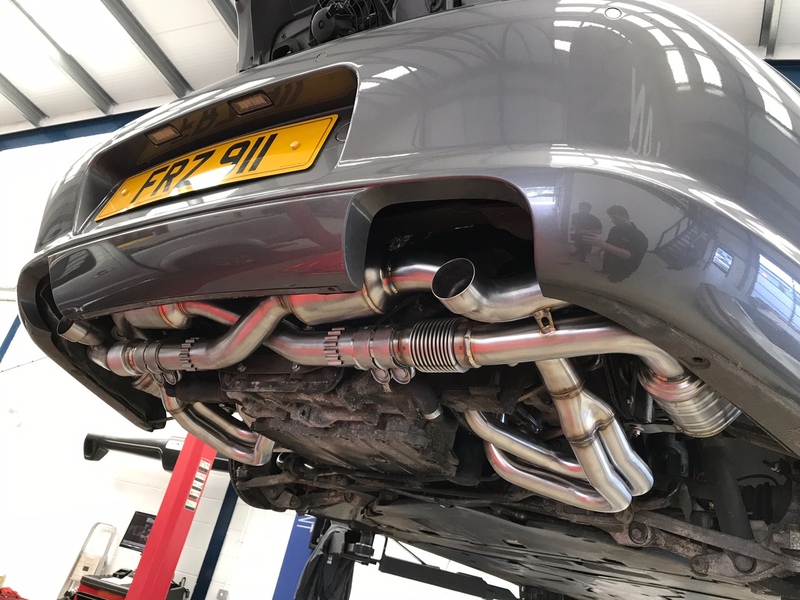 Finally a big thanks to John (John997) for helping me out with the lambda sensor extensions - really appreciated fella and another great example of forum members helping each other out. 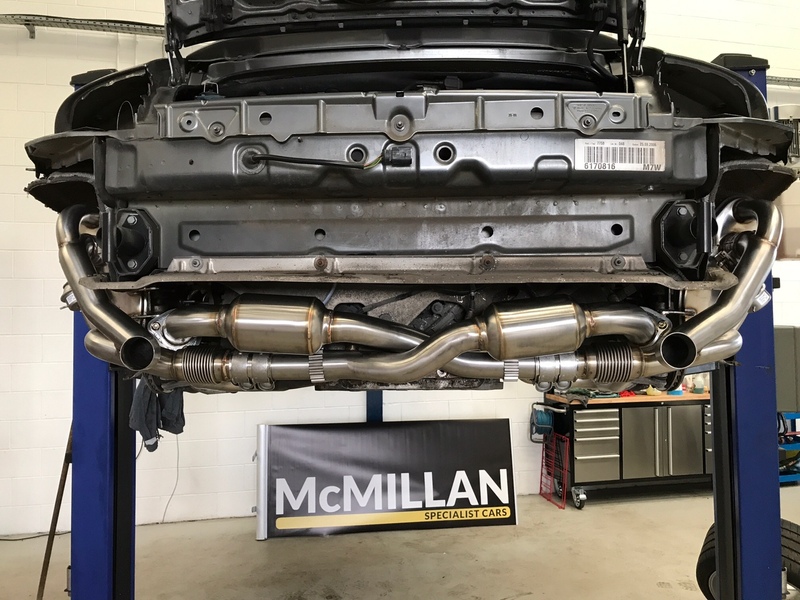 Here's (quite) a few photos that the fitter took as things progressed - McMillan's commented on and were impressed by the quality of the system which reflects extremely well on Alex and his team at Top Gear. 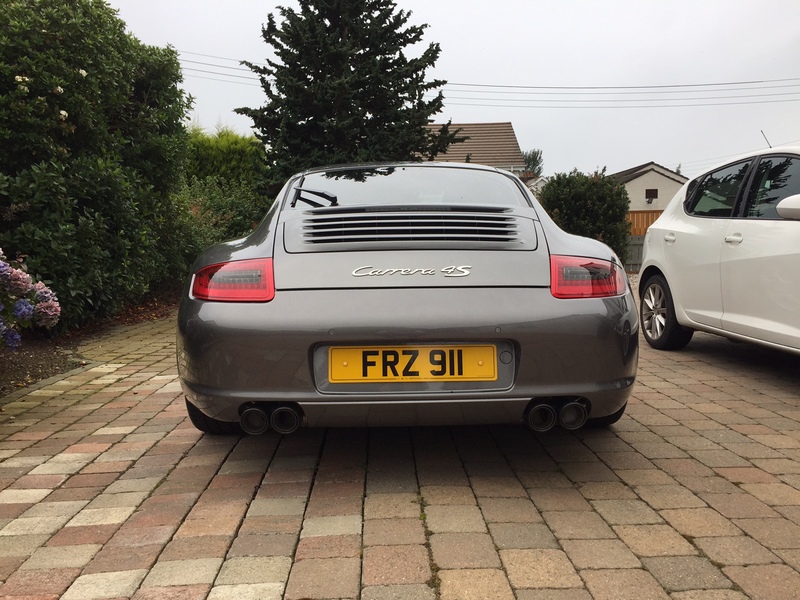 Hi I would be interested in 200 cell sports cats for my 997.1 Carrera S does anyone know how they are ? Thats looks ***** loverly mate , well done fella. Did they take off the heat shields off as it looks like they did, just wondered why.